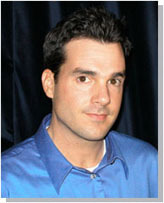 John Reese (TrafficSecrets.com) - Articles - More Wasted Online Real Estate. In a very recent newsletter (two days ago) I wrote to tell you about maximizing the income from your web sites by making sure you use every available piece of "online real estate". It's time to tell you about another "place" that you can use right now to make more profit from the traffic you are already receiving. Unless you've been living under an Internet Marketing rock, you've integrated email into your marketing. You have an opt-in list, send emails to your customers, send automated messages -- such as email receipts when someone orders a product from you, etc. Email messages that you already send to prospects and customers on a regular basis are GOLDMINES for producing additional profit. It's simple. At the top of many of these emails you can simply add a little text "box" that has a small ad promoting another list, one of your other products, or an affiliate product. That's right, you can put an AD in many of the emails you already send as a part of your business. Just create a little box and say, "Today's Sponsor" and create a little ezine-like sponsor ad. That's all there is to it. You'll INSTANTLY produce more opt-ins for other lists you want to promote, sales of your other products, or affiliate commissions. - "Thank You" emails. Such as confirmation emails you send to all the people that subscribe to your ezine or opt-in list. - Email receipts. If you aren't already sending an email receipt everytime someone orders from you, you need to. This is the perfect place to promote something else. "Thank you for subscribing to the 'Copywriting Tips' ezine. You will be receiving your next issue very soon. In the meantime, if you're interested in studying some copywriting techniques, I highly recommend you grab a copy of Yanik Silver's 'Web Copy Secrets' ." My good friend, Stephen Pierce, is a fantastic marketer that uses the "Recommended Reading" technique really well anytime he promotes affiliate products. This technique works just as well in emails as it does on web pages.